The Western Australia Government is considering expanding its digital gambling options to include virtual horse racing and greyhound racing. The news comes after a discussion over the potential sale of TAB, with the hopes that the new operators might financially support the racing industry. 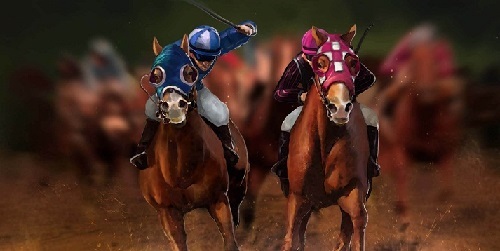 Further discussions on the matter are expected though, as the ban on virtual horse racing only stands in Western Australia, while other states like Victoria and NSW offer the gambling option. Western Australia Treasurer, Ben Wyatt, released a discussion paper in which details of a suggested sale of state-owned gambling operator TAB was the key focus. In the draft, all the pros and cons of allowing simulated horse racing as a gambling option in WA were tabled. As things stand, only Crown Casino is permitted to offer virtual racing options under the current WA law. There was also an inclusion of a clause that indicated that the prospective buyer of TAB would have to get legislative approval to offer the gambling product. Arguably, the most vocal advocate of the move, WA Nationals MP, Colin Holt, made scorching comments against the opposition following their change in position. Mr Holt accused Premier Mark McGowan of ‘playing politics’ after changing his position on virtual horse racing. In 2016, McGowan was adamant that introduction of digital horse racing would ‘bring some of those social ills, in particular, gambling addictions’ that have hampered other Australian states in the past. Fast forward to the proposed sale of TAB, and his posture shifted, which Holt derides as the height of hypocrisy. While the decision to offer virtual horse racing in WA hangs in the air, you still have many options to choose from. Browse through our top online gambling sites at Pokies.com and have your pick at some of the legal casinos in Australia.